as if he had discovered the power and pleasure of reliving events with their sting removed. The skill, I saw, lay in skirting close enough to what appeared to be the truth without allowing what you actually felt about it to regain its power over you. 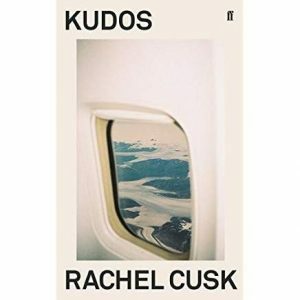 Kudos is the final part of Rachel Cusk’s highly acclaimed trilogy and Faye is the central character throughout. Outline was published in 2014, and Transit in 2016. Faye’s encounter on the plane sets the pattern for the rest of the book. Everyone she meets has a tale to tell, and the story is told through a series of unconnected conversations. As a newcomer to the trilogy, I was unsure what to make of a book without a traditional plot or a dramatic arc. As I read on, I found this narrative technique surprisingly compelling, a bit like unpacking a set of Russian dolls: each story separates out to reveal another story inside, which in turn has another story inside that. Faye is the perfect listener, yet there are few details about her physical appearance. Likewise, Cusk is sparing with her descriptions of the different settings in the novel. 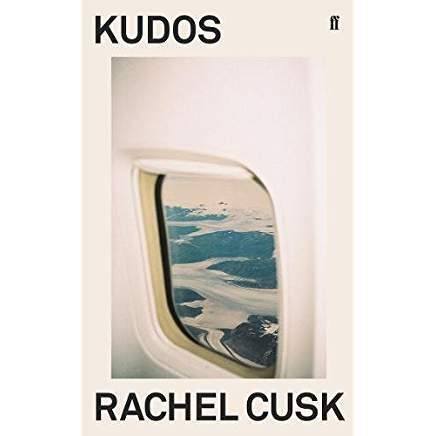 With concise settings, and without the distraction of Faye’s physicality or the mechanics of a plot, the way is clear for Cusk to focus on the characters and their stories. many of the writers invited here excelled at public appearances while producing work she found frankly mediocre. In the case of such people, she said, there are only the grounds: the building isn’t there, or if it is, it’s a temporary structure that will be swept away by the next storm. Recently, I came close to telling a friend about an interesting conversation I’d had with a woman whilst sitting on a bench in a fragrant hotel garden. I stopped myself just in time, because I remembered that I hadn’t met the woman on a bench; I had met her on the pages of this novel. And this is the power of the book; the encounters with the characters are so engaging that they leave a lingering impression that you’ve met them, in real life.